With such stiff competition, is Beats worth your time? Is reliability or discovery more important to you? If you want reliability, then no, absolutely not. Beats Music has been out for a month and received seven updates to its Android app and seemingly zero to its web app, and I’m gonna be honest here, it’s still a total piece of garbage. 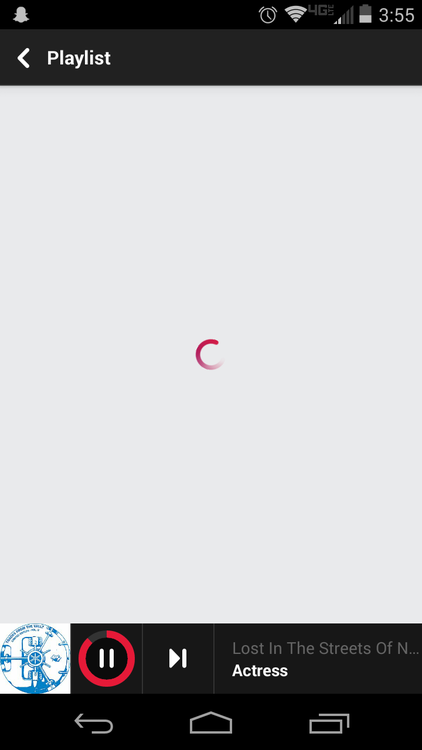 Get used to watching that little circle spin forever as Beats fails to load. I have a Moto X, which isn’t a powerhouse of a phone but it’s still just as snappy as one, yet Beats still—seven updates out—cannot scroll smoothly, none of the buttons on the now playing screen work at all, it often completely fails to load my playlists or library, or it stops playing a song, or it repeats one, or it loses connectivity, or whatever. The web app is so laughably barebones and broken it may as well not even exist. It can’t access your library at all. It can access your playlists (but only some of them). You can’t use some of the cooler features of the service, like “The Sentence.” It often fails outright to connect to the service and will refuse to load my profile, or it’ll cut out halfway through a song, or it’ll just outright refuse to play any music at all. Can you imagine that? A music streaming service that doesn’t play music? As I type right now, Beats is stuttering its way through Queen’s “I Want It All.” It’s like murder. So if you want a reliable music player, then no, Beats is not that. Maybe it’ll get there someday, but straight up: it should not have been released in the state it’s in. Profile pages so minimalistic they don’t have any information on them at all. If Beats is so bad, you might be asking, then why are you still a subscriber? Well, that’s where we get into the discovery side of things. Beats Music is 100% the best and easiest way to get into new music. If you can think of a decently well-known artist, chances are that Beats will have an “Intro to” playlist curated by real, actual humans complete with liner notes. If that artist is more popular, you’ll probably have even more playlists waiting for you. For instance, as of this writing, Jay-Z alone has a staggering 20 playlists by the Beats Hip-Hop team. I can’t tell you how useful that’s been, especially for older artists like David Bowie or Elton John with dozens of albums to sift through, or newer artists who I just haven’t really given a chance yet, but it’s even useful for bands I’m already a huge fan of, like Queen, because the playlists make it super easy to jump into curated assortments of the best tracks without having to pick them out myself. Playlists aren’t just limited to the Beats staff, though. Anyone can make a playlist that everybody else can subscribe to, so I’ve found a lot of great playlists being made by different music websites. Beats also has an interesting novelty feature called “The Sentence” that asks you to mad-lib your way to a personalized shuffle of new music. I was super into this feature at the beginning, and it’s been kind of useful for getting a handful of new tracks, but my use of it has dropped precipitously over the last few weeks. 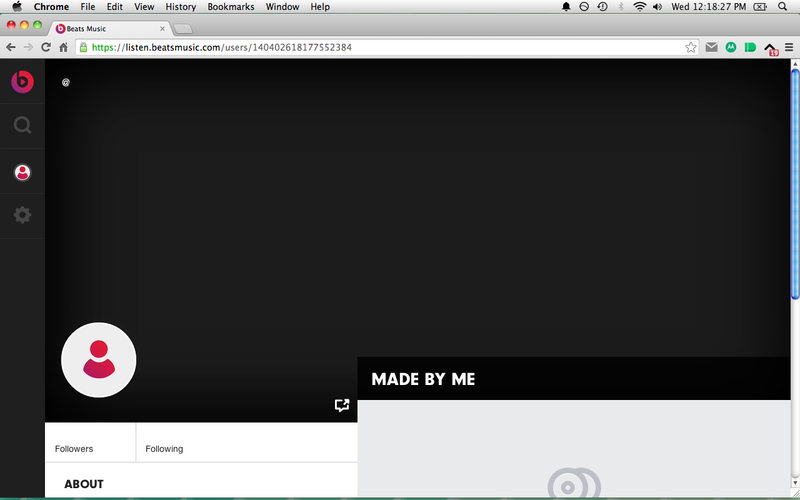 It’s really a feature for when you don’t really care what you’re listening to, and I usually do. 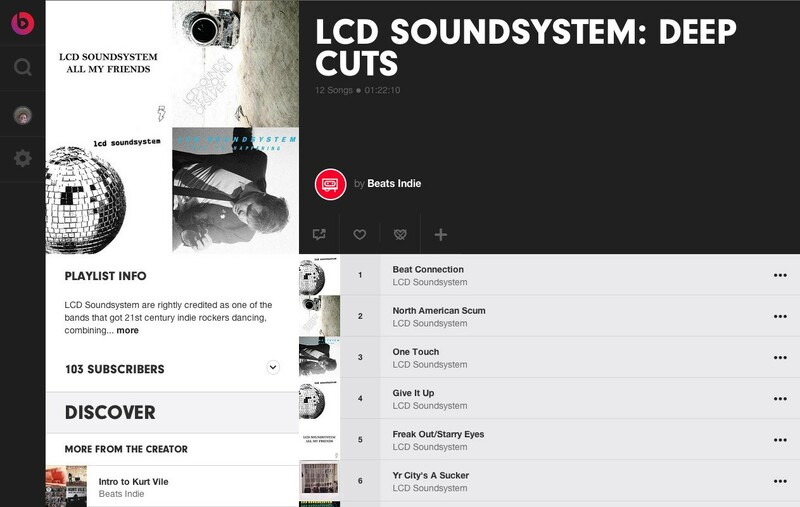 Even for a band like LCD Soundsystem that I already love and know all the songs, it’s super cool to have a variety of playlists to jump into. After all that, you probably still want to know: Should I subscribe or not? How does it compare to other services? Are you going to stay subscribed? Yeah, begrudgingly, I am. The curated playlists, for me, are too valuable to give up. If that sounds useful to you too, then do yourself a favor and sign up for the 10-day trial first. If not, or maybe you’d just like to give Beats a few more months to work out the bugs, here’s my recommendation: Google Play Music. Hands down, Google Play Music has been the best overall experience I’ve ever had with a streaming service, Spotify included. It’s fast and reliable. You can download any song, album, or playlist to listen to offline. It’ll make instant playlists based on songs, artists, or your entire listening history of likes and dislikes with its awesome “I’m Feeling Lucky” option. It’s got all the expected features of a modern music player like the ability to add tracks to a queue or play next (features that Beats still doesn’t have). And if their extensive All Access library doesn’t have a song you want, you can upload up to 20,000 songs of your own, even if you aren’t a subscriber, a feature I’m now especially grateful for. The only thing it doesn’t have is curated playlists, and that’s a huge bummer because I would absolutely love to ditch Beats and go back to Google in a heartbeat if it did. Hell, I might ditch Beats anyway.